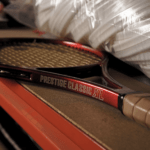 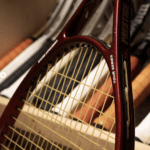 A lot of racquetholics and racquet collectors think vintage/older HEAD racquets are about the best on the market with their flexible response and great touch. Will they ever bring them back? 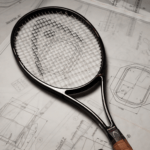 If you talk to people who are into tennis racquets, you’d be pretty sure they have a certain affinity for racquets pre-Graphene. 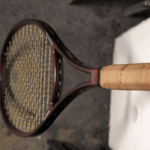 Quite a large number of tennis professionals play with some kind of HEAD pro stock racquet based on an older model. 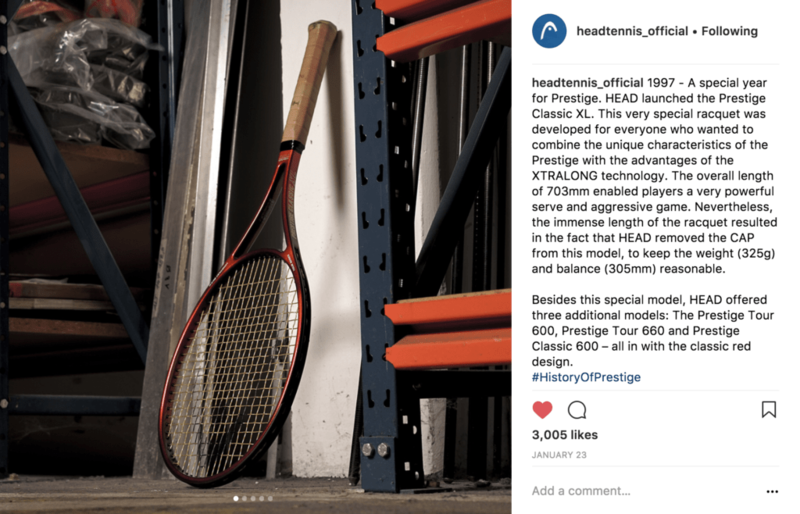 One of the most legendary examples is Andy Murray who uses the 20 year-old racquet HEAD Pro Tour 630 in an open string pattern (pro stock code PT57A2), but there are many. 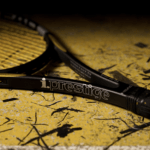 Marin Cilic for example uses a TGK 231.3 (which is a Microgel Radical in an open string pattern, but he still endorses the new Graphene Touch Prestige series). 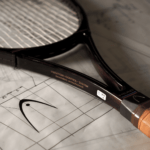 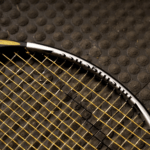 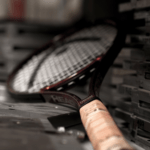 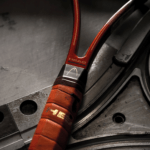 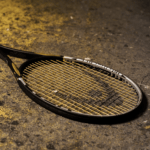 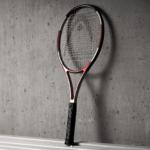 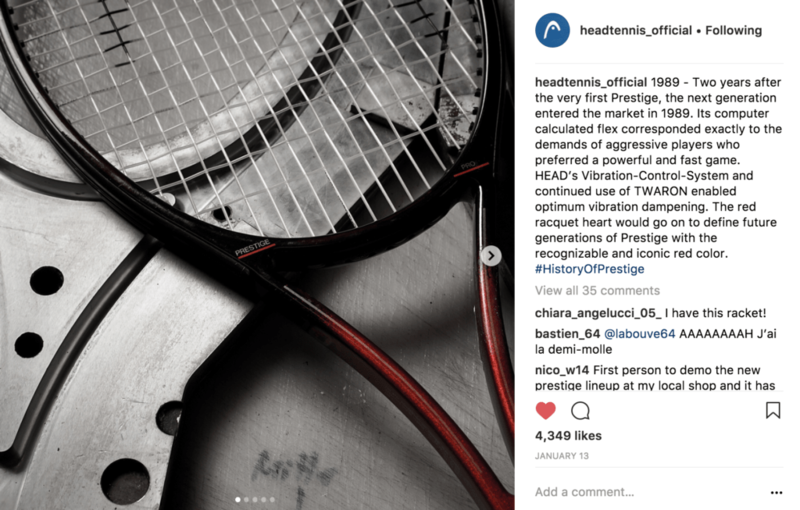 There are Graphene racquets I like, like the first edition of the HEAD Graphene Radical Pro but there are nothing like previous lines of HEAD racquets where HEAD was more known for flex than any other racquet brand on the market. 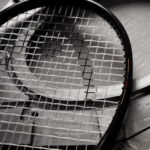 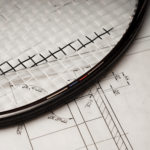 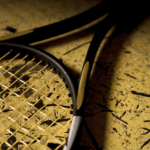 Graphene ushered in a drastic change in an effort to adapt to the modern, faster, more powerful game and to battle it out with a power brand like Babolat (Wilson has never been shy to produce stiffer frames either). 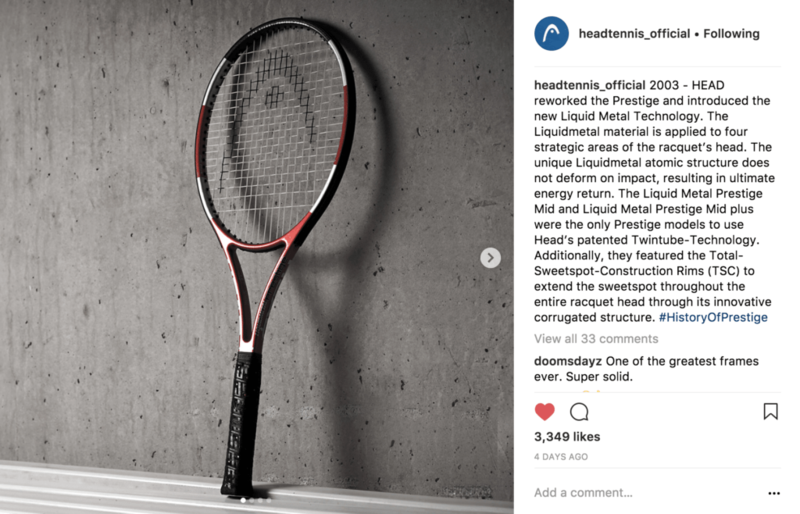 If I compare the Graphene series to the Innegra series, the Youtek Innegra included stellar frames such as the HEAD IG Radical Pro and the HEAD IG Prestige MP (both frames which I’ve enjoyed quite a bit personally and are hits with both recreational and professional players). 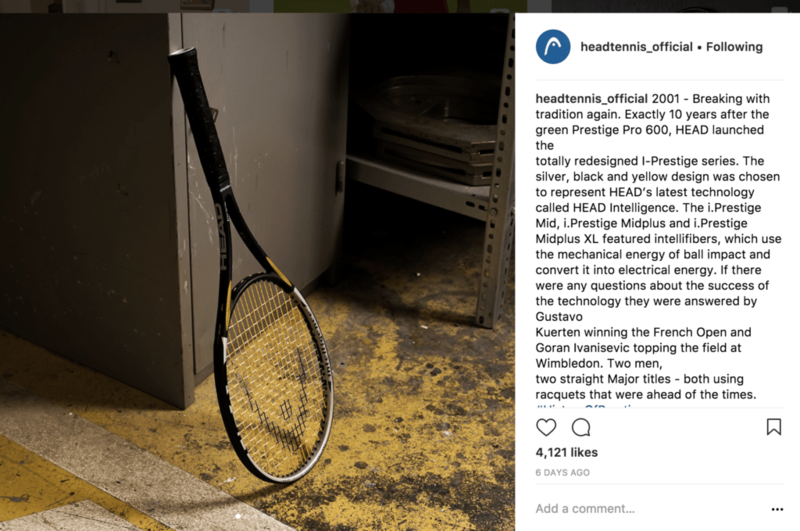 Talking about Prestige, HEAD has been doing a “#HistoryofPrestige” series on their Instagram including some absolutely amazing racquet photography that would make most racquetholics salivate substantially. 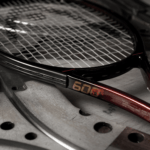 Below are the outtakes from their series so far and I would be very happy if they, based on the interest of this series and what the fans ask for, decided to reintroduce some HEAD classics like a Prestige Classic 600, a Radical Tour (I like the Zebra or Candycane editions myself), a Pro Tour 630 and a iPrestige in their line-up. 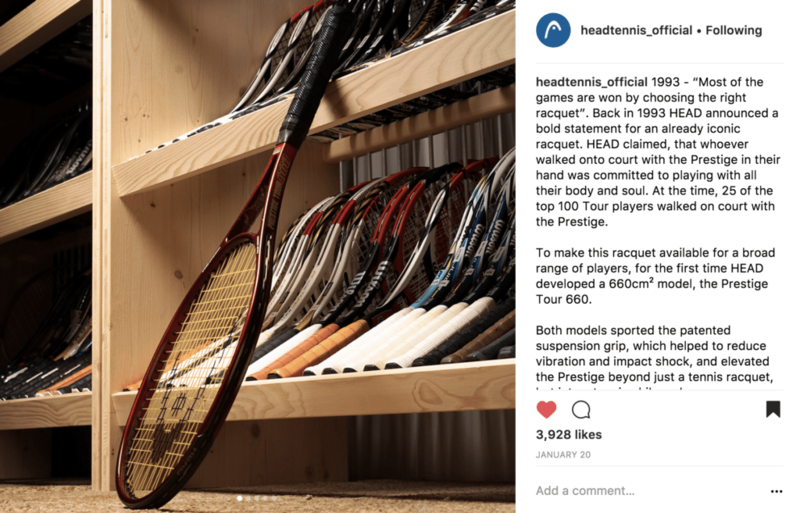 I think they would sell more than the Wilson Pro Staff RF 85 (click for my review, click here to buy ) that Wilson re-introduced. 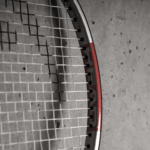 But that’s of course my personal opinion and now I’m keen to hear yours. 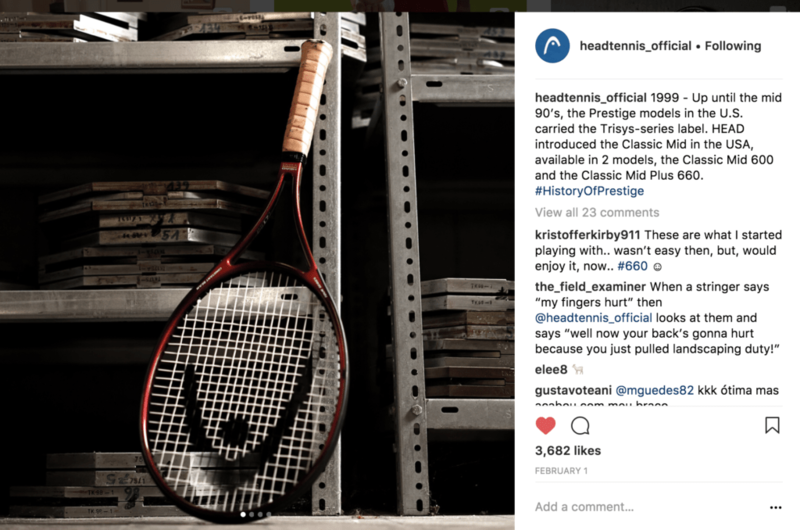 If HEAD re-released a classic, which one would you vote for and why? 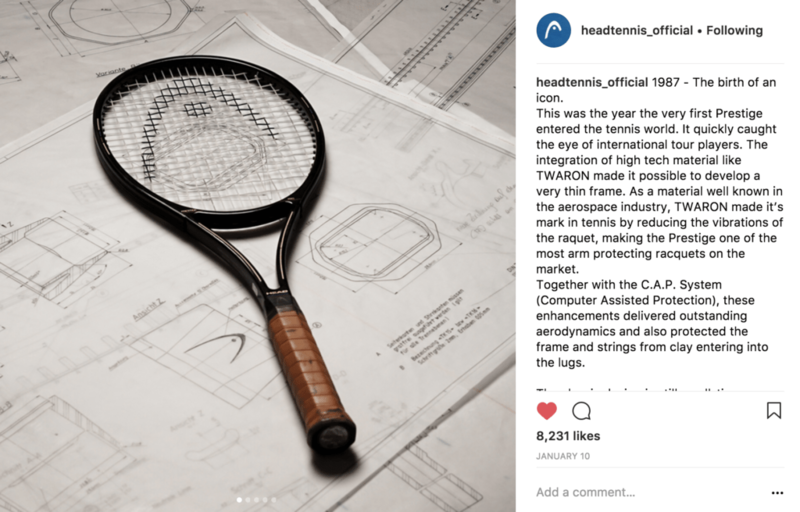 And more importantly for HEAD, would you buy it? 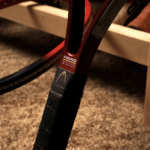 At least in Northern California, racquet brands not named Babolat, Wilson, or Yonex, don’t appear to be selling much. 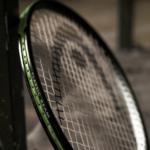 My observations from attending some local lower level professional tournaments and observing what others- young and old- at the clubs have. 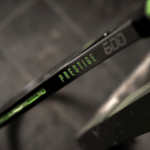 To me 89 model has best paintjob I did not play with it. 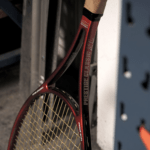 I have been playing with the Head Intelligence i.Radical MidPlus, ever since it came out. 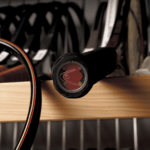 Recently have been looking for a replacement as I can no longer buy the grommet strips for it, I have been looking for a replacement. 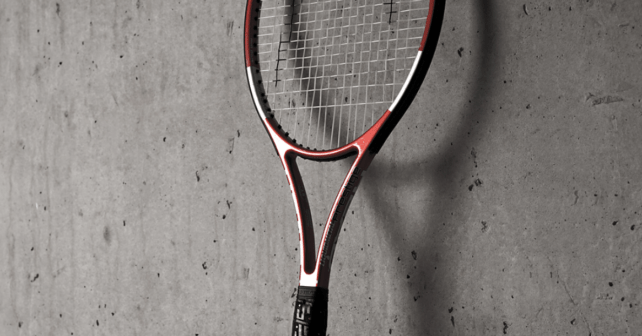 I have tried out the Angel TC97 Pro, nice racquet, but found it hurt my arm a little, then tried the Wilson Ultra Tour for a month, again nice racquet, but my game was not quite the same, found it stiff at times, so picked up my beloved Head racquet and boy what a difference, the control, touch and feeling of this racquet is just so great, my game came right back! 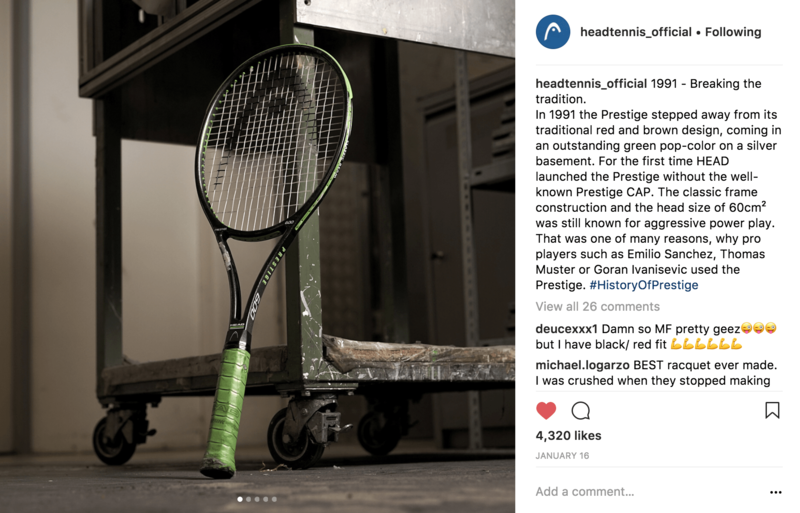 With so many requests out there it is impossible to navigate through them all to find the ideal one, but thanks Jonas it makes it a little easier. 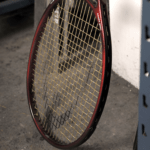 The iRadical MP is a great racquet. 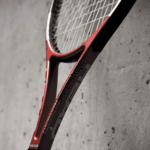 I can only recommend you to try the Angell K7 Red because I find it to be a great, modern yet comfortable racquet but the grip shape is more Wilson-like on the Angell so that might be an adjustment for you.